Presenting or speaking to an audience regularly tops the list in surveys of peoples’ top fears – more than heights, flying or even dying! So, you are not alone if the thought of speaking in public scares you. On the contrary, almost everyone feels fearful of presenting and public speaking to one degree or another. Leaders are regularly required to give presentations and speak at events. Indeed, inspiring the troops, presenting their vision and being the front figure for the organisation are key parts of a leader’s role. Come across as too formal and “stiff” – appearing to be taking on another persona? The result is that often the speeches and presentations become the low-point of the event rather than the highlight. Rhodes can provide executive coaches who regularly help senior executives prepare for speaking at important events, be it large employee events, shareholder meetings, customer presentations or conferences. Some speakers make it look effortless, but don’t be fooled, they will often have spent days or weeks preparing, rehearsing and fine tuning. Big corporate events are usually large investments, both in money and time. 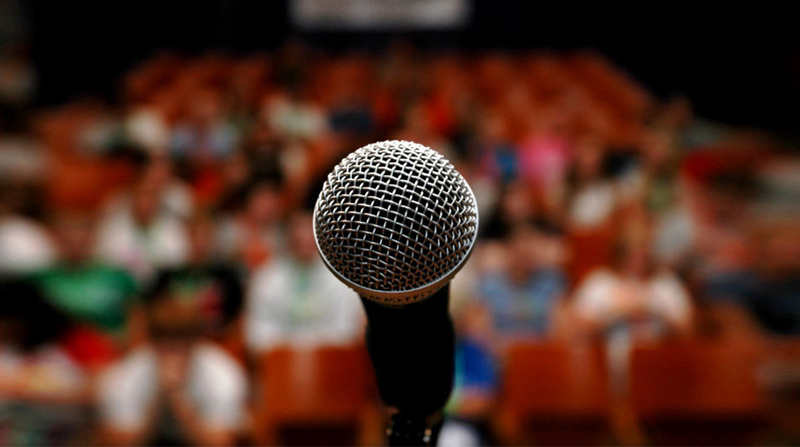 Getting professional help to prepare the leaders so they can deliver their speeches and presentations with confidence and high impact is a comparatively small investment, but can turn the dreaded speeches into the highlight of the event for both the speaker and the audience. Rhodes can also provide a wide variety of “Key Note” speakers for your corporate event.